BeadSmith BRACELET BENDING PLIERS PL574 at Simon Says STAMP! PL574 This item is on reserve until If you would like to reserve this item now, you may purchase it now with the rest of your order. We will hold your order now and ship your entire order as soon as this item is back into stock. If you would like your order to ship now, please place this item on a separate order. Success, BeadSmith BRACELET BENDING PLIERS PL574 has been shared! Pliers for making gently curved bracelets and components. Made of Stainless Steel, Nylon, and Rubber. From its roots as a one-man operation run from a garage, The Beadsmith has grown to become an 85-employee, family-owned and operated company which is housed in a 50,000 square foot warehouse in Carteret, New Jersey. 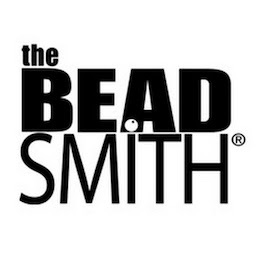 The Beadsmith is dedicated to providing bead resellers, bead stores, jeweler supply houses, and qualified manufacturers in over 100 countries with a wide array of tools, beads, components, stringing materials and other jewelry making supplies. We source our product range from all over the world to give our customers a ONE STOP SHOPPING experience.